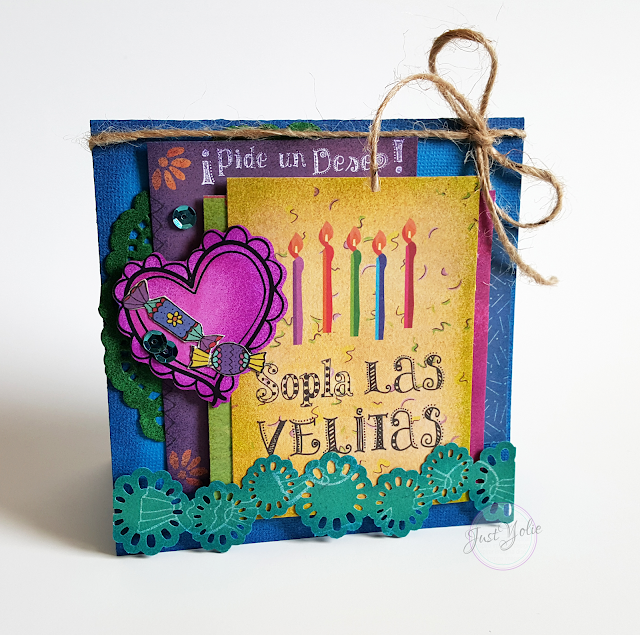 Scraps, Tips and Candles by Yolie Burke! We want to thank SaborPapel for celebrating the month of May with us! Please be sure to visit their website and blog! Great company and very creative people! Yolie Burke began our celebration and now her post ends our month! 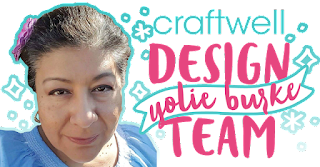 It's a month long fiesta featuring Sabor Papel, this month's Craftwell sponsor. Lately, I've been challenging myself to make a little something using scraps. 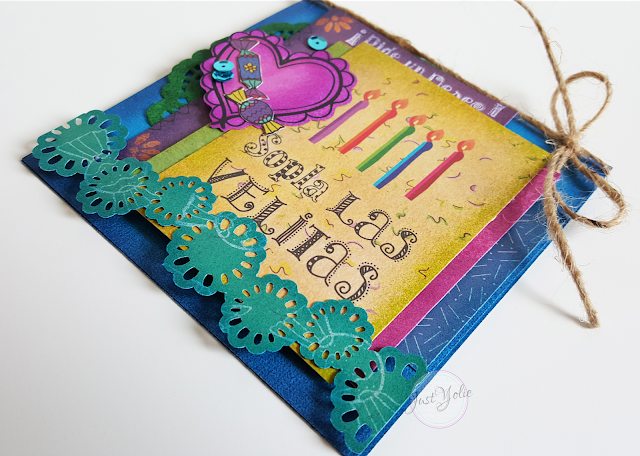 My birthday card, I used scraps from Sabor's Olé collection. 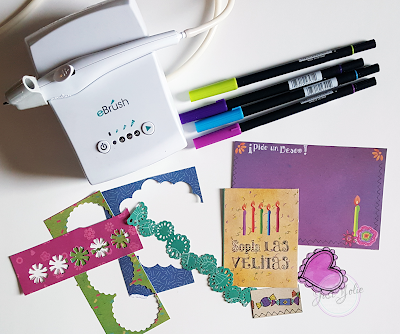 I used the eBrush with Tombow markers to add shading to the pieces. To avoid getting inky fingers, I used painter's tape to hold down my pieces. I took a 6" strip, with the tacky side up, I folded the ends and taped them down to my working paper. I gently placed my scraps onto the painter's tape and voilà, no inky finger tips or flying scraps. Here is my birthday card. Translation: Make a wish! Blow out the candles! I found a green doily from my Christmas stash and eBrushed it and added it to the background. I took the 4"x 6" cut out and trimmed down to 4" x 3 1/2, layered the strips of scraps to the top 3" x 4" cut out. I used Glue Dots to adhere the yellow top layer and adhered the heart die cut. I fussy cut the candy and added them along with sequins to the heart die cut. Finally, I added a jute ribbon to the top and adhered the doily border, it's a doiy punch I've had in my stash forever and a day. 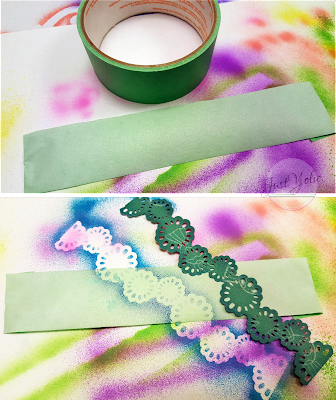 Here is another tip: I used Mini Glue Dots to adhere the sequins. It seriously made it so easy. Thank you for visiting today, enjoy your weekend.